Showing 46 articles from December 19, 2013. 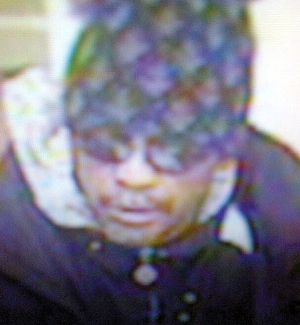 LOUISBURG — Investigators continue to look for a suspect who robbed a local bank. According to authorities, a man was seen milling arond and in the First Citizens Bank at about 11 a.m. on Dec. 13. At about noon, police say, the man then approached a teller with a note demanding money. The man, described as black and between 30 and 40 years old, then left the bank with an undisclosed amount of money. Although Santa Claus is busy getting ready for his big night next Tuesday, he did stop off in Bunn last Saturday morning after the parade to take a few last-minute orders. 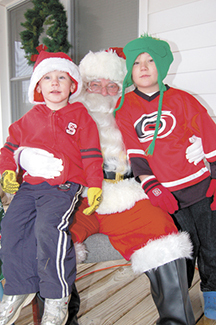 Among those sharing their wish lists were Leevi Coker, 4, and Dallas Coker, 7, both of Bunn. Since this edition is the last one of The Franklin Times before Christmas, it’s full of holiday-related items. INCOMING. Terry Hedlund takes the oath of office from Town Clerk Emily Hurd. YOUNGSVILLE — A state health agency will hold a public hearing next month, soliciting input to decide whether or not it allows Novant Health to build a same-day surgery center near town. Youngsville officials are making a case that such a move will bolster economic development. Louisburg town officials wasted little time Monday night gearing up to fight Novant Health’s effort to move a Certificate of Need from its Louisburg hospital to a proposed day surgery center in Youngsville. Emerging from a closed-door executive session, the town hired a large Raleigh law firm, Wyrickrobbins, and a Durham planning company to help fight Novant’s move. A school bus driver, Judy Strickland Arrington, was cited for turning in front of a car on her way to Terrell Lane Middle School Wednesday morning. 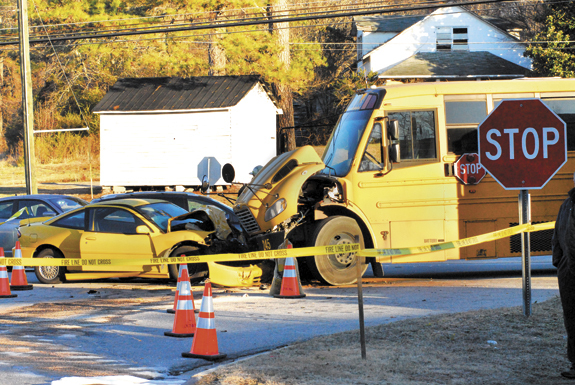 Neither Arrington, students nor the driver of the car, David Benjamin Burton, sustained serious injuries. According to Trooper P.L. Clayton, Arrington was traveling west on N.C. 56 when she attempted to turn left onto East River Road. Although it’s been nearly 20 years, I remember one bit of advice I received when starting to restore a 200-year-old house in Franklin County. “Don’t ever take a match out there or you’ll be tempted to use it,” was the advice and it came from a trusted and favorite uncle who once built houses for a living. He was skeptical of trying to save a long-abandoned house from another era. It’s difficult to believe but this is the last edition of The Franklin Times before Christmas, 2013, and the next-to-last edition of 2013. For many Franklin Countians, it’s a year we won’t particularly mind seeing fade from view. The local economy, such as it is, has been in the doldrums since 2008 and has cost us countless jobs and businesses, especially smaller businesses. I’m a bit of a movie buff, so often times, my view of reality is often colored by films I’ve seen or vaguely remember. 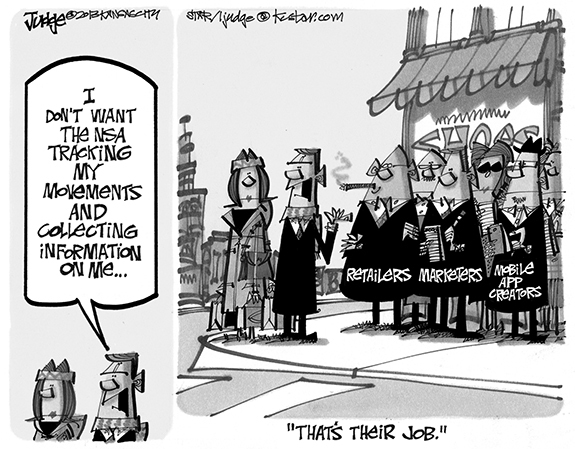 Take the idea of a bank robberies, or some other type of caper. I immediately think of flicks like “The Italian Job,” the one with Mark Wahlberg and Ed Norton — I’m too young for the 1969 original. Or, I think of the slick, “Reservoir Dogs,” helmed by Quentin Tarantino. Mom, I miss you, tell everyone I love them. 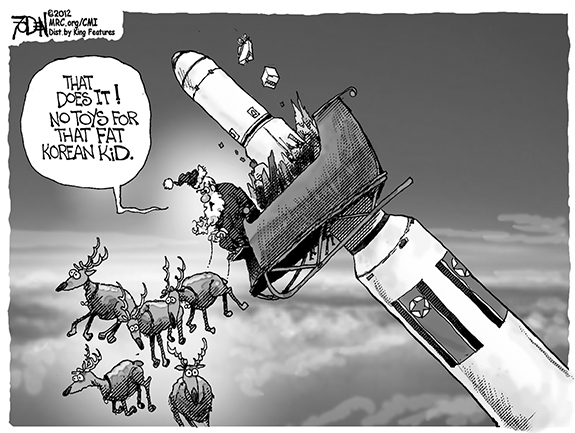 A line from a typical letter an American kid writes while deployed somewhere in the world at Christmas time. To many, this will seem uneventful. Military service has become less and less of an option for most in our country today. Statistics show less than one percent of people now serve. Fewer in Congress now have served in the military than any other time in our history. As 2013 comes to its end, it is time to either reflect or look ahead. Perhaps it is just my nature, but I prefer to look in the windshield as opposed to the rear view mirror. If Franklin County were able to set one, and only one, priority area what should it be? My answer is public education. The State Archives of NC has been preserving North Carolina history for more than 110 years. 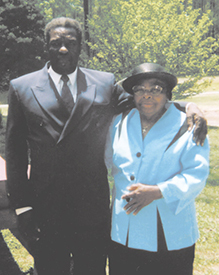 FRANKLINTON—Fannie Mae Rodwell Allen, 88, died Saturday, Dec. 14, 2013. 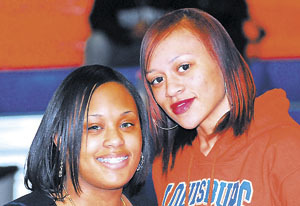 Funeral services were held Thursday, Dec. 19, at First Baptist Church, Franklinton, with the Rev. André Johnson officiating. Interment followed at Creedmoor Memorial Gardens in Creedmoor. BOARD WORKERS. 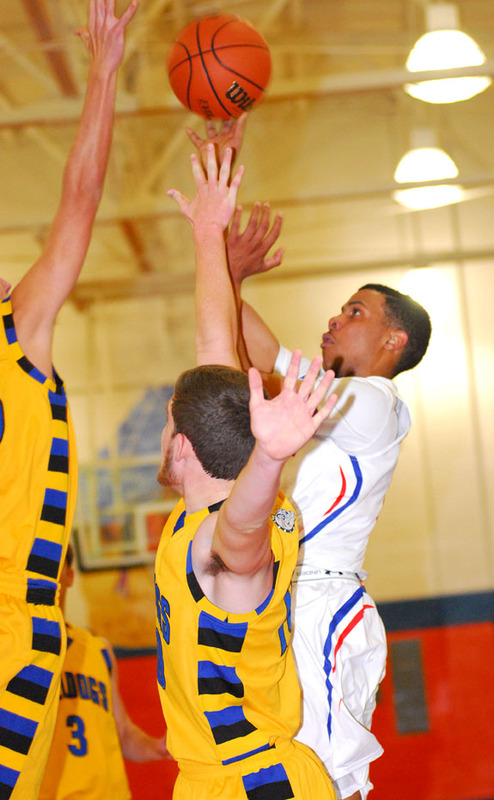 (L to R) Southern Nash’s Marquise Wright and Bunn’s Tyler Sanders try to gain a rebound during last Friday night’s non-conference boys basketball showdown, which was staged at the SNHS Gymnasium in Stanhope. 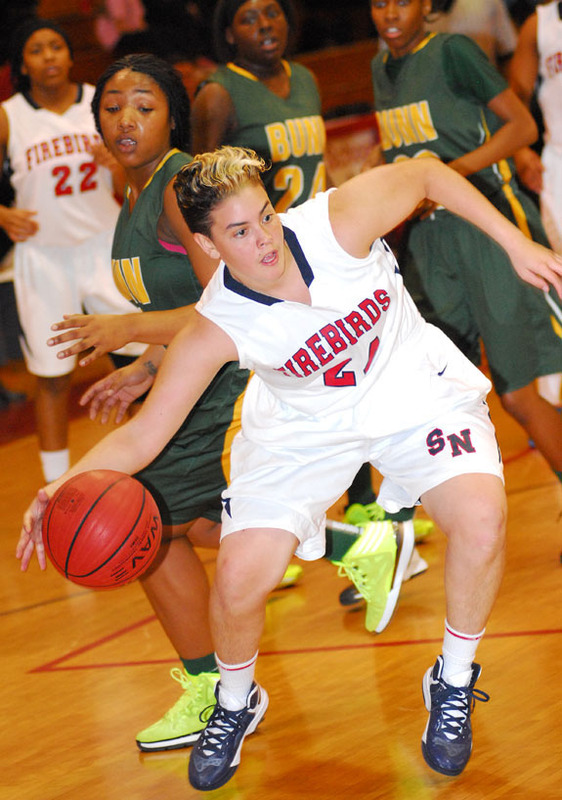 That was the question Coach Robbie Kennedy was asking himself after the Southern Nash Firebirds got off to a strong start during last Friday’s home game with Bunn -- but did little else the rest of the way. Southern, which had won at Bunn earlier in the campaign, saw the visiting Wildcats return the favor in the rematch at the SNHS Gymnasium. FINDING A WAY. Louisburg’s Keiana Evans (center) tries to escape a pair of Princeton defenders during last Thursday night’s girls basketball game. 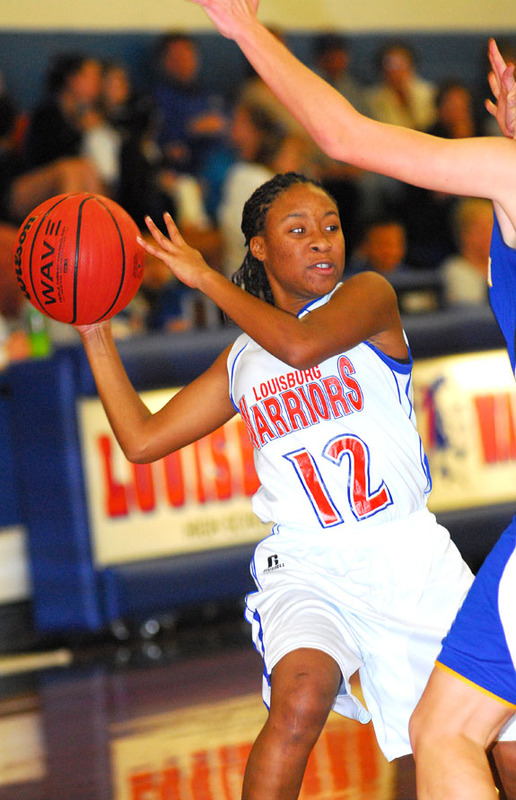 LOUISBURG -- Louisburg High School’s girls basketball squad lost 40 percent of its starting lineup before the regular season began. Because of that, what was expected to be a strong campaign has started with a 1-5 record, with LHS’ only victory coming two weeks ago against Neuse Charter out of Smithfield. 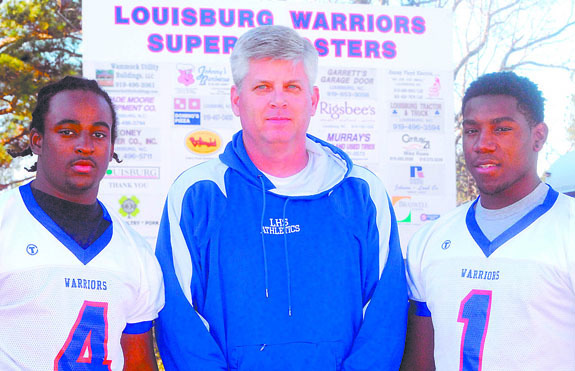 LOUISBURG -- Louisburg High School coach Chris Lee was looking for some senior leadership this fall for his football team as the Warriors moved back into the Tar-Roanoke Athletic Conference after a four-year absence. Lee found his leaders in Antonio Smith and Amyl Smith, both of whom were major contributors as the Warriors on the TRAC Championship and finished 8-4 overall. IT’S DECISION TIME. Bunn’s Josh Terlizzi (right) won by decision as part of his team’s home wrestling match Tuesday night against South Granville. BUNN -- When the Northern Carolina Conference was realigned before the current school year, it was widely regarded that South Granville would be one of the toughest teams to be in the NCC wrestling circuit. That has proven to be true early on as the Vikings secured a 54-24 road victory on Tuesday night against host Bunn. BHS, coached by Randy Kagarise, dropped to 1-1 in the league this season. Earlier, the Wildcats had edged North Carolina School of Science and Math. TAINASHA TO THE RESCUE. 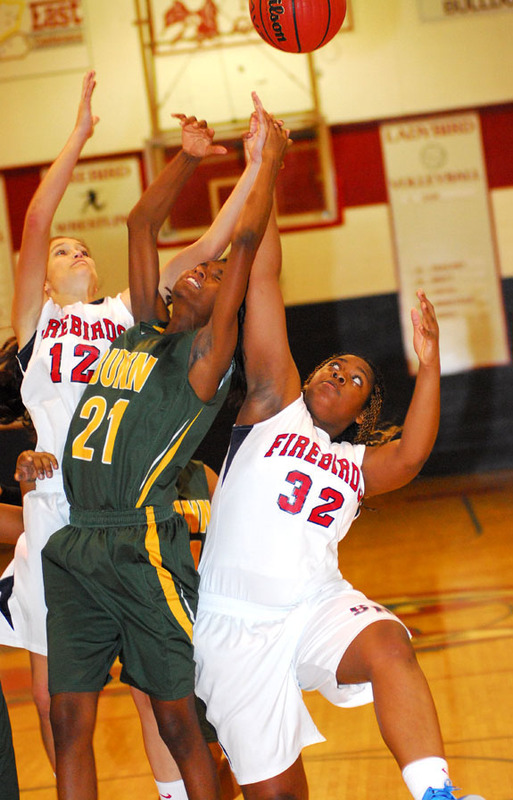 Bunn’s Tainasha Vines (left) drives for two points during last Wednesday night’s home, non-conference girls basketball setback against Nash Central High School. 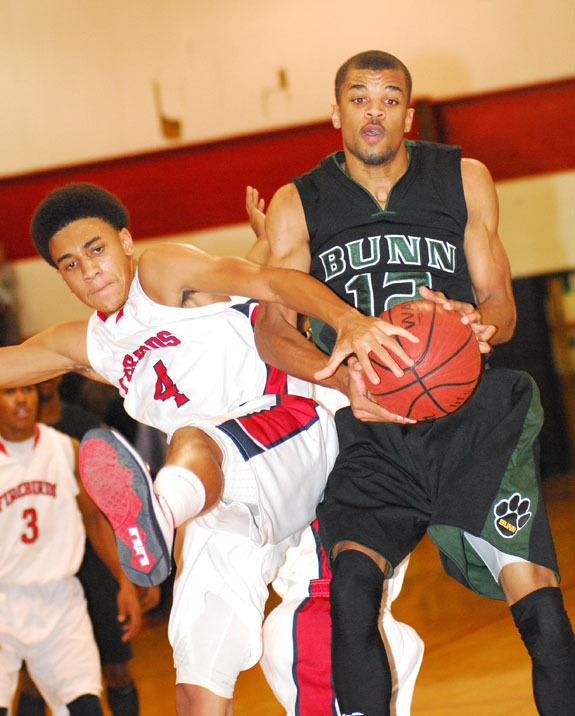 BUNN -- Host Bunn went one up and one down during last Wednesday’s non-conference basketball meeting with the Nash Central Bulldogs. The score was tied midway though the third stanza before Central dominated down the stretch and left Franklin County with a 54-37 decision. LOUISBURG -- The Louisburg Warriors have won a pair of wrestling matches in the past week by tie-breaker margins. The most important one came Monday at Granville Central in a Tar-Roanoke Athletic Conference showdown. The score of the contest was even at 39-39 after Louisburg rallied behind must-win pins from Ryder Bishop (152) and John Cuddy (160). LOUISBURG -- The Louisburg College men’s basketball team wrapped up the 2013 portion of its schedule with a convincing 92-65 win over Sandhills Community College last Wednesday night at the Taylor Center on the LC campus. LOUISBURG -- Some players respond better by coming off the bench, and that seems to be the case with Louisburg High School boys basketball standout Kenan Epps. A guard, Epps has embraced his role as LHS’ Sixth Man -- and he was more than happy to make a huge impact during the Warriors’ home game last Thursday against Princeton at the LHS Gymnasium. PULLEY MAKES A PLAY. Southern Nash’s Christiana Pulley (with ball) attempts to drive past Bunn’s Aaliyah Simmons during last Friday night’s girls basketball matchup at the SNHS Gymnasium. 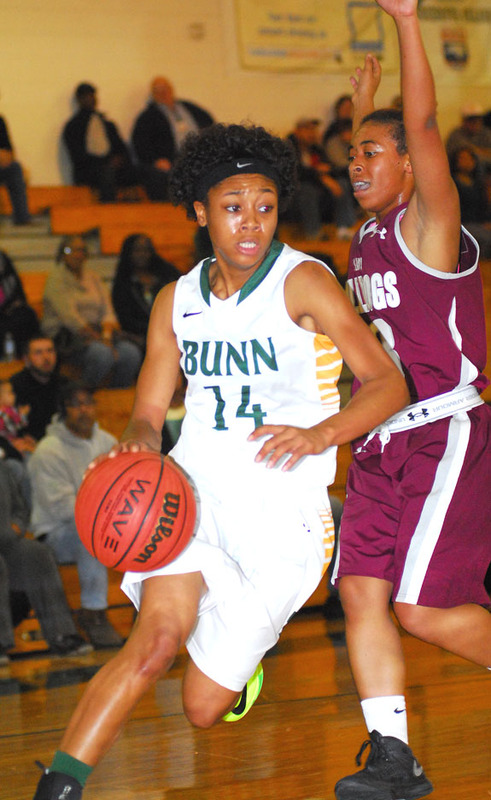 STANHOPE -- Two days after a tough home loss to Nash Central, the Bunn Ladycats were hoping for a quick bounceback last Friday against homestanding Southern Nash. Bunn had gone joust-for-joust with Central for three periods, only to wilt down the stretch. 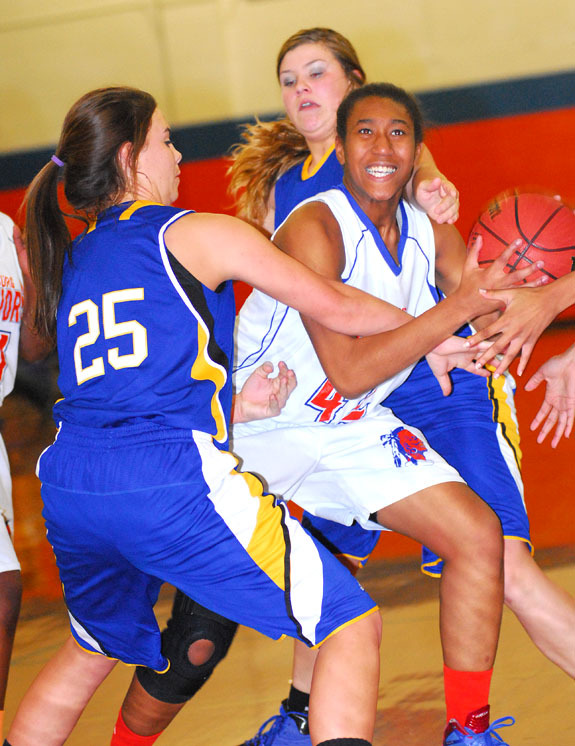 It didn’t help BHS’ cause that star sophomore guard Precious Walker was unavailable due to an illness. WILLIAMSTON -- Bunn High School’s girls basketball squad traveled to Martin County last Saturday to take part in the day-long Riverside Shootout. The event was held at the historic Riverside High School (formerly Williamston HS) Gymnasium. Bunn’s girls tangled with Pamlico and came away with a 48-33 decision against the Lady Hurricanes. 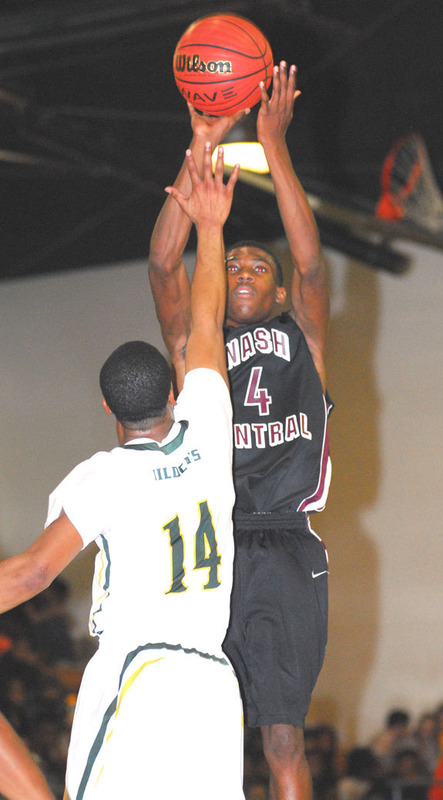 Aaron Spivey has shown a penchant for scoring so far for the Nash Central Bulldogs. 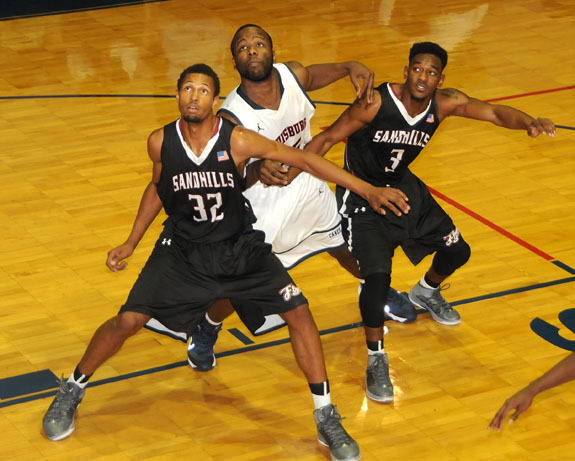 Former Bunn High School hoops player Jaymes Kingsberry (right) waits for a potential rebound during Sandhills CC’s road game last Wednesday night against Louisburg College. 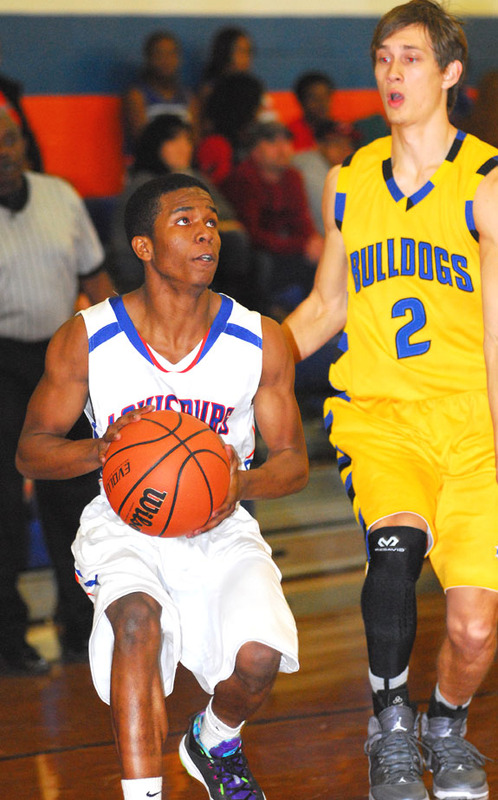 Louisburg High’s Khalid Battle drives past a Princeton defender for two points last Thursday night. Louisburg High School’s Bryana Rountree looks to make a pass during her team’s home setback last Thursday night against the Princeton Lady Bulldogs at the LHS Gymnasium. Southern Nash’s Danyelle Noland, Bunn’s Tia Branch and Southern Nash’s Kaylisha Anderson try to gain a rebound during last Friday’s girls hoops game. 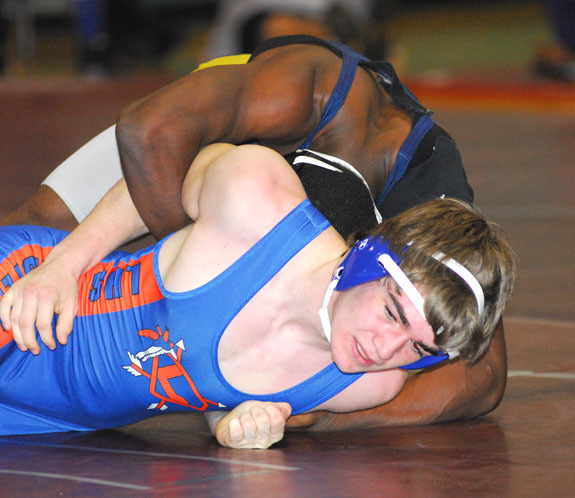 Bunn’s Jalen Kelly collects some points with this hold during Tuesday’s match with So. Granville. 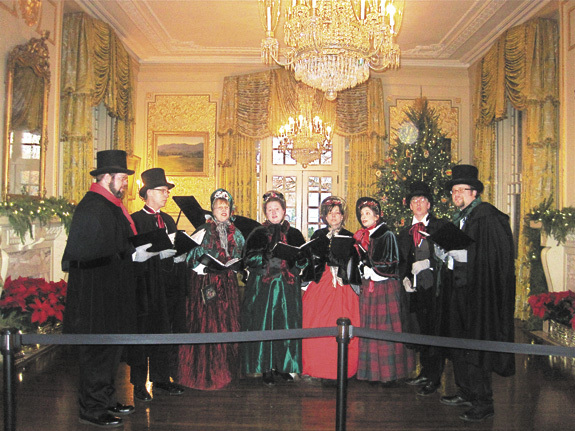 The Victorian Carolers performed at the Governor’s Mansion on Friday, Dec. 13, delighting crowds during the Christmas-time performance. The group is made up of members from both Franklin and Wake counties. From left are Matthew Lewis (Youngsville), Rich King (Zebulon), Laura Cashwell (Wake Forest), Paula Walters (Director, Louisburg), Jody Rollins (Raleigh), Kari Amy (Wake Forest), Johnny Walters (Louisburg), Brian Ferguson (Youngsville). Tis the season to be jolly and to take care of your Christmas tree. Now that you are surely in the mood and waiting for more information, lets get started. A fresh tree remains fresh and fragrant if you take care of it. A neglected tree loses much of its beauty after only a short period of time. 65 YEARS AND GOING STRONG. Robert Lee and Betty Ruth Williams of Centerville celebrated their 65th wedding anniversary on Dec. 15 at the Golden Corral. Amy Joyner Bowling and Brandon Lee Bowling announce the birth of their daughter, Aubree Leigh Bowling, born at Rex Hospital on Wednesday, Nov. 27, 2013. She weighed 7 pounds, 10 ounces and was 21 inches long. Aubree has an older sister, Graycen. Air Force Airman Jesse H. Vick has graduated from basic military training at Joint Base San Antonio-Lackland, San Antonio, Tex. During basic training, each Airman completes an intensive, eight-week program that includes training in military discipline and studies, Air Force core values, physical fitness, and basic warfare principles and skills. The Louisburg Town Council relaxed some zoning restrictions to facilitate a proposed new business, helped clear the way for another business to construct a new building and welcomed a new council member during its last regular session of 2013 Monday night. 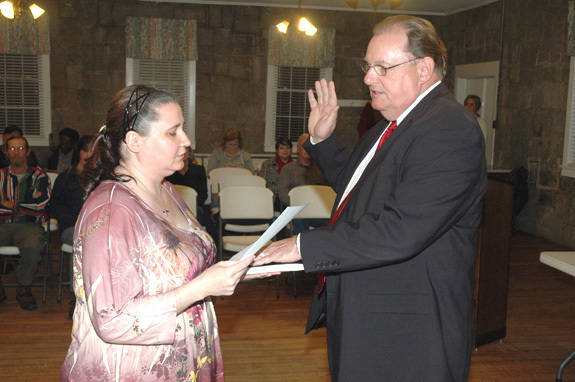 Sworn in to his first term as a town council member was Tom Clancy, owner of Strickland Funeral Home. He was elected this fall and replaces local businessman Freddie Hight who chose not to seek re-election. 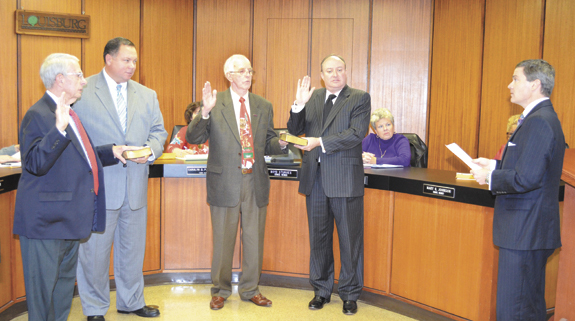 YOUNGSVILLE — Sam Hardwick stepped down after 18 years of public service last week, but not before asking another public servant to step up. Before ending his tenure as mayor on Dec. 12, Hardwick asked the district attorney’s office to call in outside investigators to thoroughly investigate embezzlement and other financial issues that caused town officials to fire Administrator Brenda Robbins and her son, Joey Patterson, the town’s streets department director, two years ago. 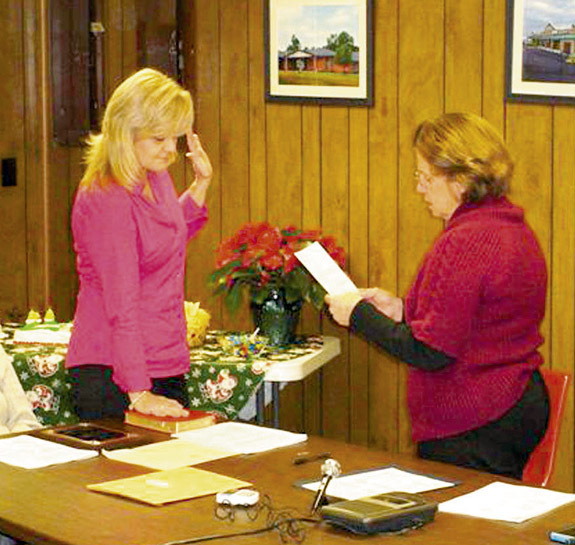 Newly elected Commissioner Sherry Mercer, left, took the oath of office during a Dec. 2 meeting at the town’s Utility Building Conference Room. She replaces longtime Commissioner Margie Winstead, who did not seek re-election. Mayor Marsha Strawbridge administered the oath. YOUNGSVILLE — The N.C. Center for Missing Persons has issued a Silver Alert for a missing endangered woman, Jessica Lee Hobbs. Citizens are asked to be on the lookout for Hobbs, who is believed to be suffering from dementia or some other cognitive impairment. The Perry’s School Alumni Association received a $10,000 grant from Preservation North Carolina, the Historic Preservation Foundation of North Carolina, Inc. 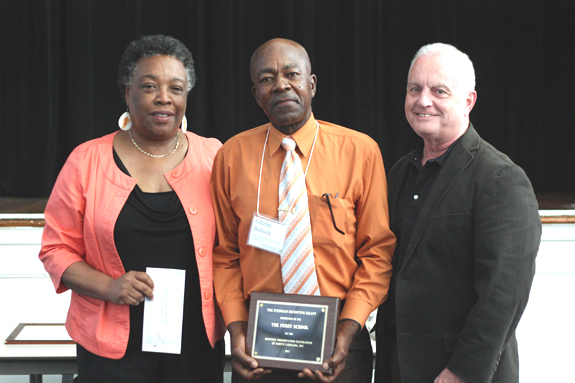 The Alumni received the Preservation North Carolina’s 2013 Stedman Incentive Grant, which was awarded by the Marion S. Covington Foundation. YABA BAGS. 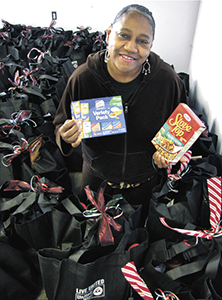 United Way of Franklin County volunteer Pat Williams helped pack 50 food bags for the YABA Christmas Care program. The 2013 United Way of Franklin County Butterball turkey program for Feeding Franklin landed 404 turkeys in town last week. The program, in its fifth year, was started by E. Carroll Joyner, his wife, Brenda, and his family and has grown to include donations from Dr. Mark LaBranche and his wife, Mona; Randall and Susan Ward and Jim and Susan Moss. 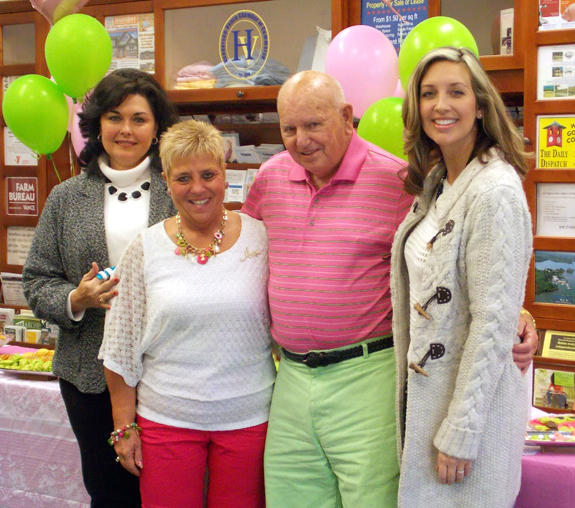 Clareese Moss is celebrating 30 years of service as an Avon Independent Sales Representative.